Hi again, everyone! This update is a bit later than I anticipated, but I’ve made great progress in the second half of June. Continue reading below for some highlights of what I’ve been working on! I’m excited to say that I’ve been working on a brand new and improved Dialogue Editor design for v0.5! The overall usage will be similar, but I think the new design will be better suited for writing dialogue. The nodes will be stacked in a vertical flow and can be collapsed, for example to only show a specific route in the dialogue that you’re focused on. More to come on this in later updates! The scripting language in v0.5 will now include a function to print information to the debug console as desired. This function can be used to check the value of a property while the game is running, for example, or inserted into a script to troubleshoot a scenario that isn’t working properly. Another set of features I’ve been working on recently relates to game localization. Firstly, I added the ability to import a translations spreadsheet via a CSV file, similar to the current version. In addition to importing, you’ll now also be able to edit your translation data or add to it from with the Game Configuration dialog. I also just finished up implementing the option to localize your game’s item data. This will be a new feature to v0.5! When localization is enabled, you’ll be able to switch between your game’s configured locales and populate the item names and descriptions directly within the Item Editor. 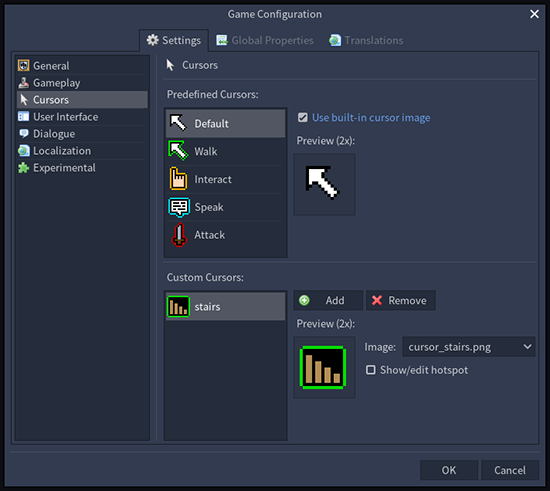 The “Cursors” section of the Game Configuration dialog for overriding built-in cursor images and setting up custom cursors is now migrated over to v0.5. This functionality will be mostly identical to the current version, but it’s nice to have one more feature out of the way! 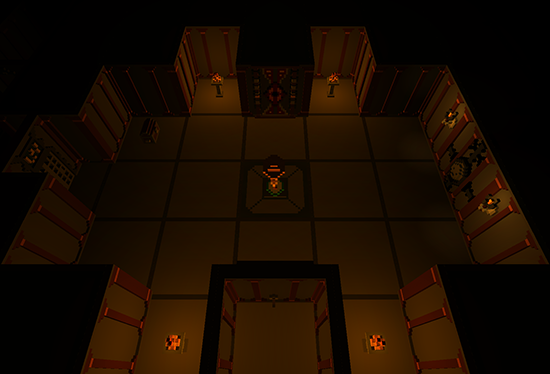 Lastly, I wanted to share a screenshot from “The Dungeon of Astryon”, a game currently being created with RPG in a Box by community member Jiminus. The dungeon looks like it will be a lot of fun to explore, and I’m looking forward to seeing his game progress!